Dinner needed to be quick and simple. I was roasting some baby potatoes in the oven with extra virgin olive oil and salt, and I had chicken tenderloins ready to saute. I wanted a straightforward, kid-friendly salad to complete the meal. You know me and my kids — if I combine a light salad dressing with lots of fruit and mild, crunchy romaine, I’m almost guaranteed success. 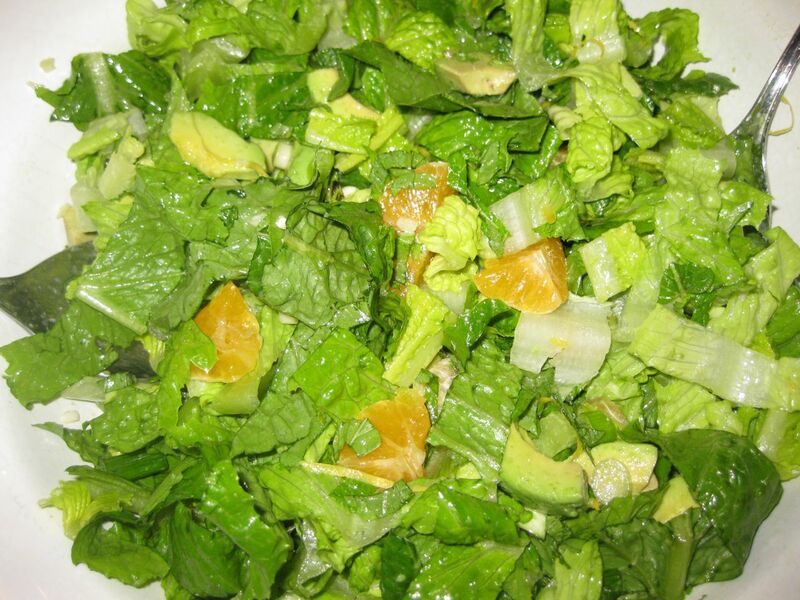 So I gathered a hefty pile of citrus, including the last of the mandarins from my mother-in-law’s tree, and I kept the salad fresh and fruity. 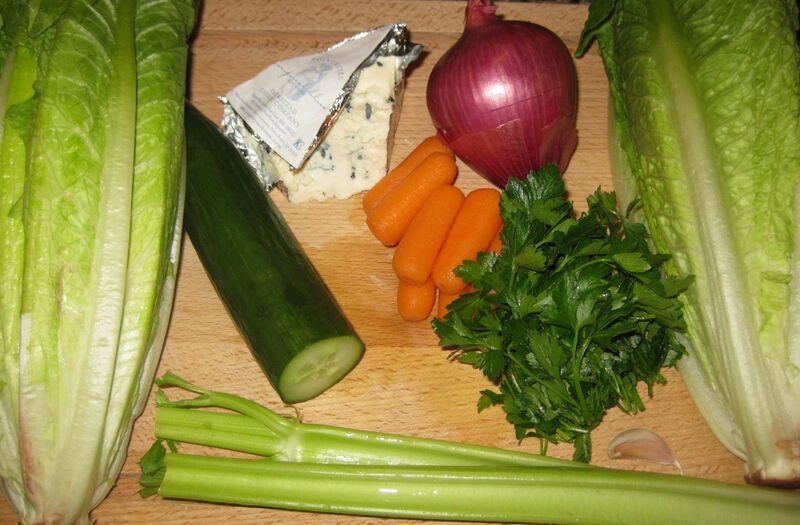 Delicious raw materials for a tasty salad. 4 mandarins, peeled, halved, and then quartered. 1 T fresh lemon juice. 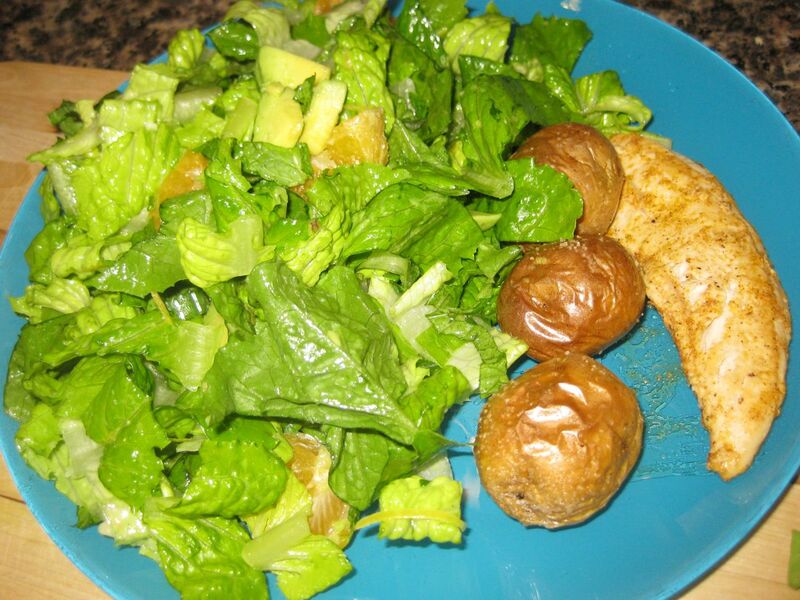 I created a nice bed of chopped romaine, and zested the lemon over the greens. I juiced the lemon, and made my citronette in a small jar. 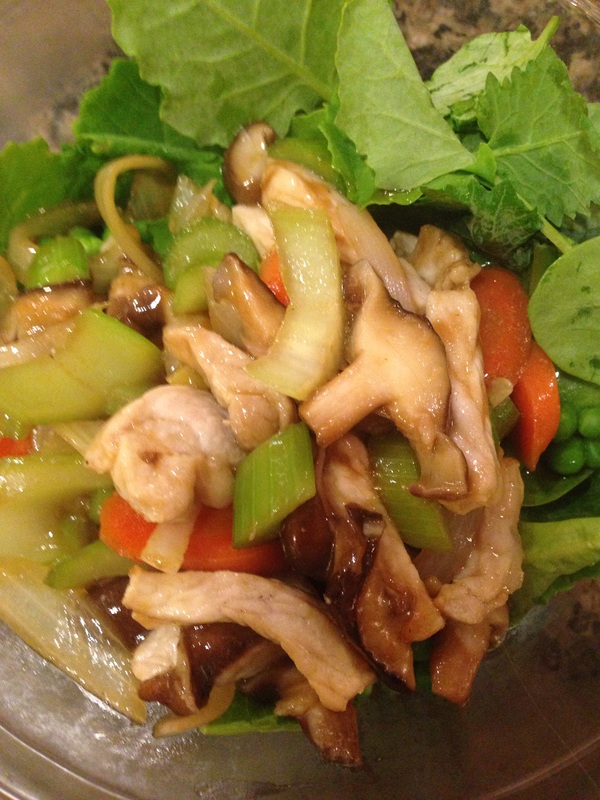 I chopped the mint and sprinkled it liberally over the greens. I peeled the mandarins, sliced them in half, then quartered them to expose the jeweled fruit, and I tossed them into the salad. I added the avocado, and when the rest of the dinner was ready, I drizzled my citronette over the salad, tossed, and served. On the plate, and ready to be devoured. What could go wrong? Fresh, tree ripened, perfect mandarins. Creamy avocado. 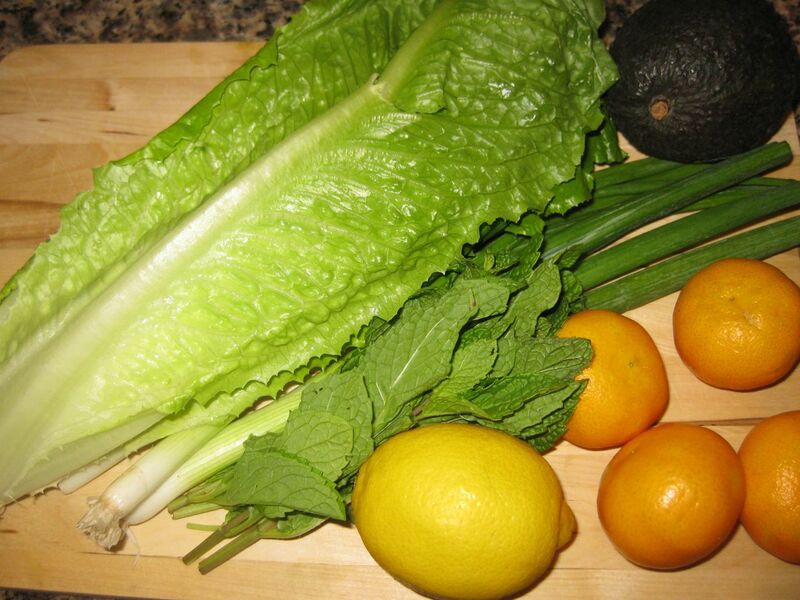 A bed of lush, crisp romaine. Zesty lemon and mint. It was just as perfect as it sounds. We ate it all. Pick your protein! Leftover chicken and steak both work well with this flavor palette, as do garbanzo beans. Pack the greens, mint, and lemon zest in a large glass or stainless steel. Make your dressing in a jar. Remember to put your avocado in your dressing jar so it doesn’t brown, or to leave it whole and slice it into your salad when you’re ready to eat. The mandarins can be peeled and sectioned by hand, so that the membranes keep the juices in the fruit segments instead of leaking onto the lettuce and wilting it. Alternatively, you can slice the mandarins as I did, and put them with the avocado in the jar of citronette, to prevent wilted lettuce. If the jar of dressing is small enough, simply tuck it into the larger salad container. 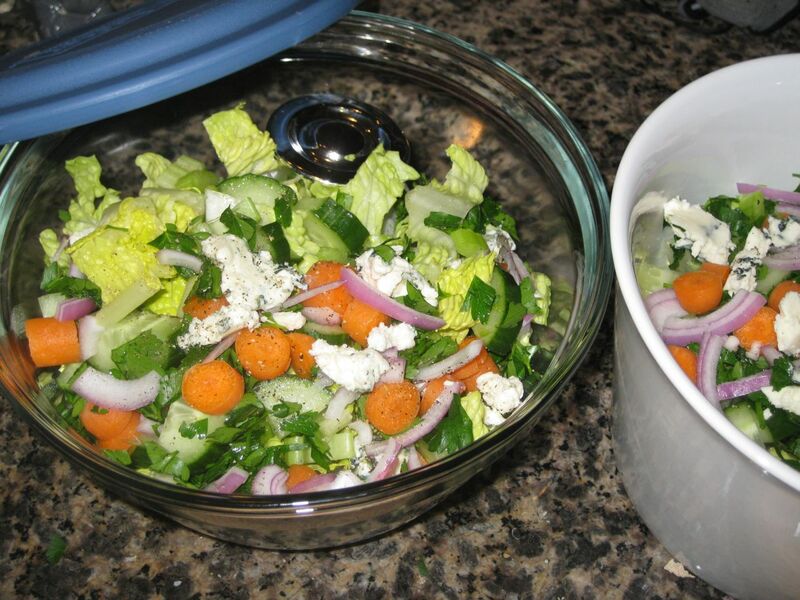 Combine your dressing with your salad when you’re ready to eat it, fork toss (or pop the lid back on and give the large container a few quick shakes to combine), and enjoy. Early morning, time to make lunches. 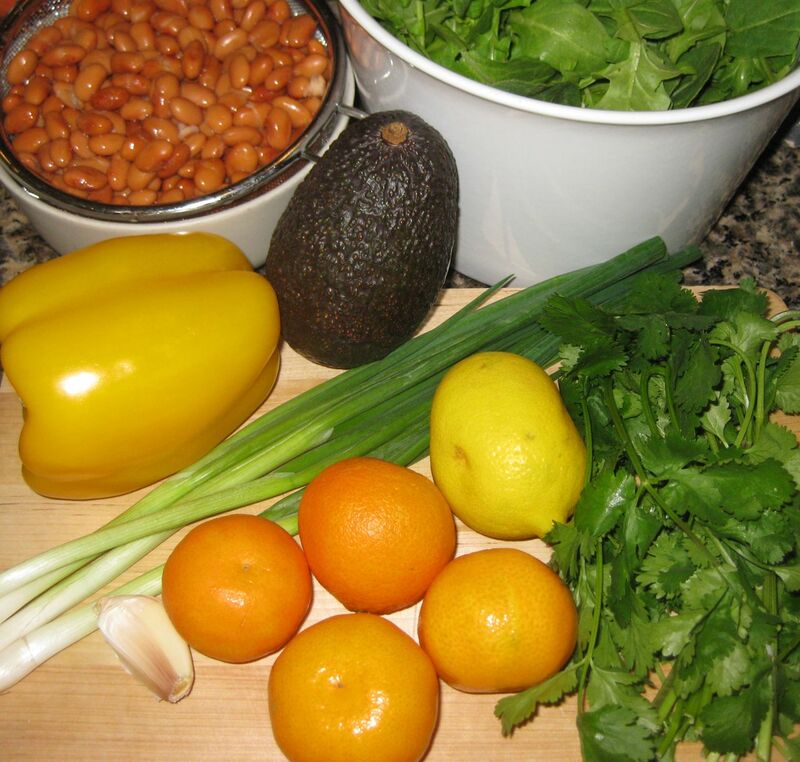 We had almost everything I needed for a couple of rocking southwestern salads, so I pulled all my ingredients out and got to work. No radishes in the house, so I used yellow bell pepper for extra crunchiness, and I went for pinto beans instead of black beans because, well, I felt like it. All of the ingredients, ready to go. 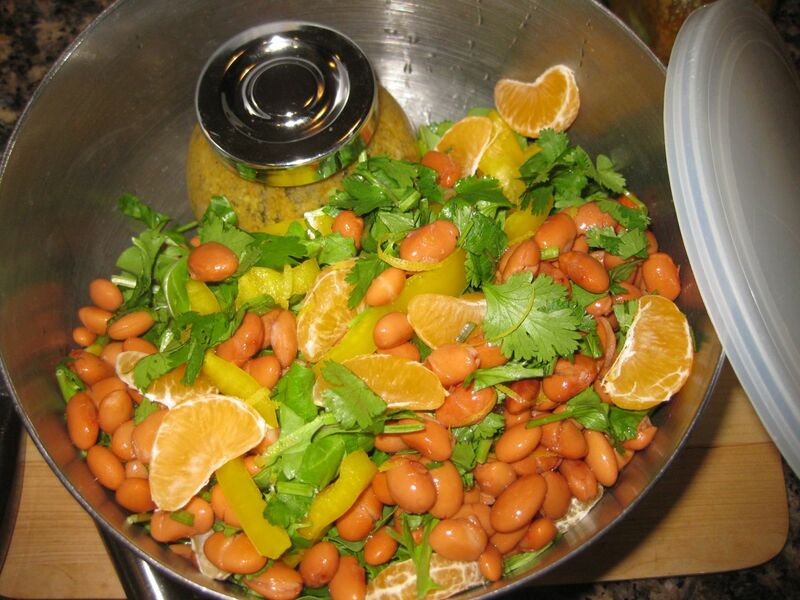 1/2 can of pinto beans, rinsed and drained. 1/2 yellow bell pepper, deseeded and sliced. 2 mandarins, peeled and sectioned. 1 fistful of fresh cilantro. Zest of 1/2 a lemon. 1/2 avocado, spooned into jar. 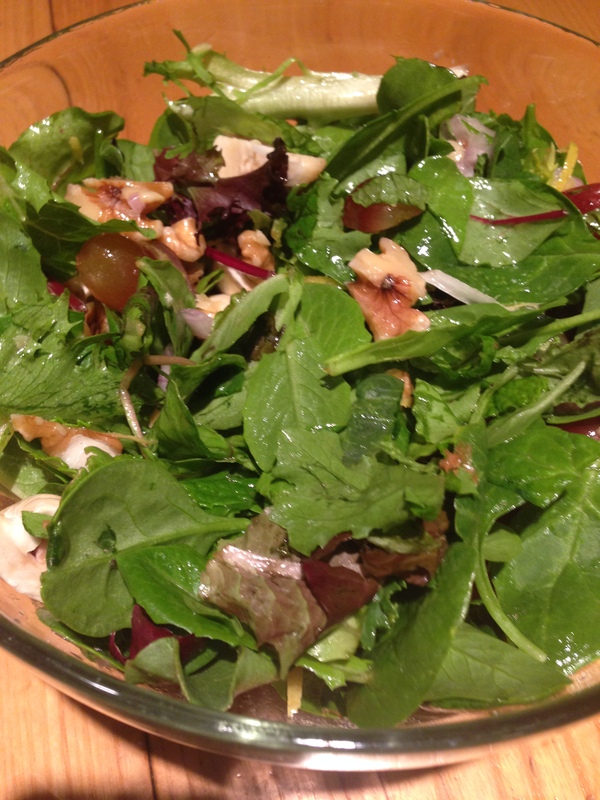 The finished salad, ready for the dressing to rain down and the fork to attack like lightning. Since I was making two salads, one for me to eat at home and one for my husband to eat at work, I doubled all of the ingredients listed above. I started by laying down my lovely beds of arugula — mine in a bowl, his in a stainless steel container with a tight fitting lid. I rinsed and drained the pinto beans, setting them aside in a sieve to drain a little more while I worked. 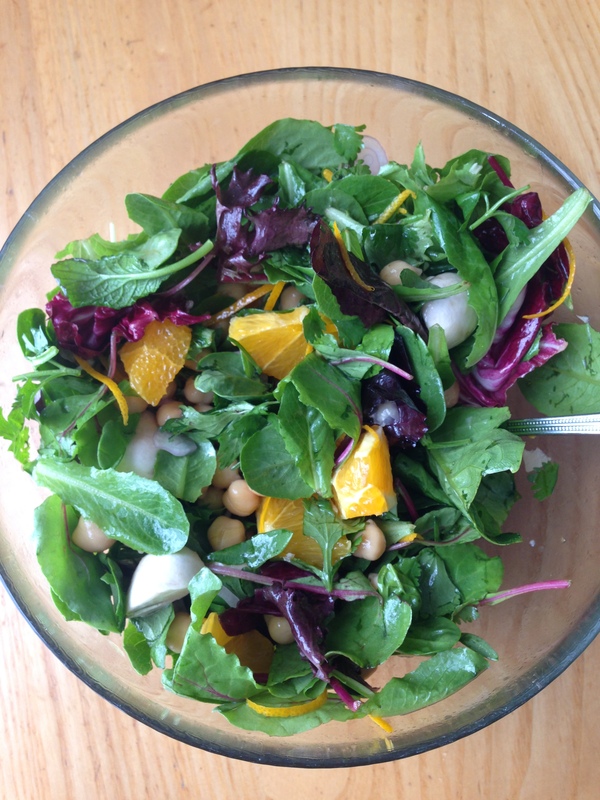 I zested the lemon over the greens, and crafted my salad dressings in twin jars. In this case, that included measuring out the ingredients, and spooning the avocado into the jars as well. I shook them up and tested them by dipping a leaf of arugula into the citronette and tasting for salt and flavor balance. I peeled and sectioned the mandarins. (Yes, they are far more beautiful when they are sliced open and the jeweled fruit is exposed, but those plain little membranes keep the citrus juices from wilting the greens.) 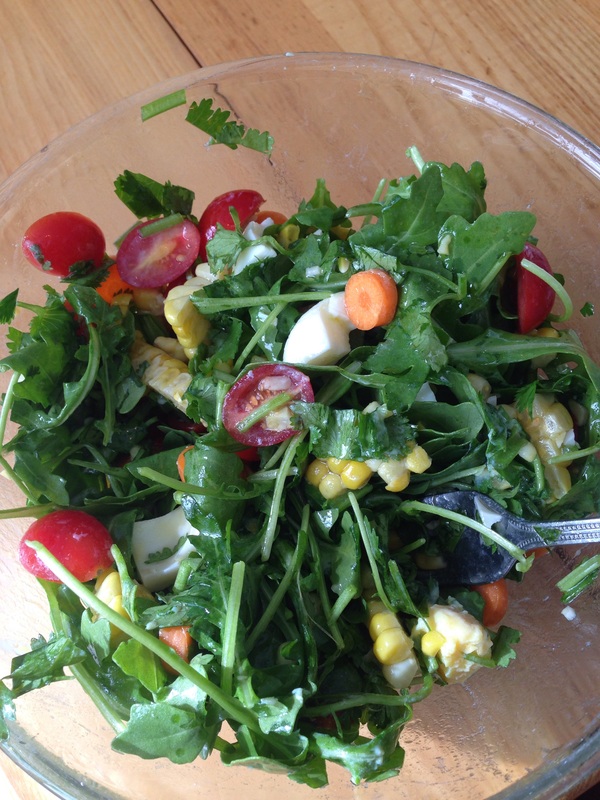 I chopped the yellow bell pepper, the scallions, and the cilantro, and added all of my ingredients to my beds of arugula. I nestled my husband’s jar of citronette in with his salad and snapped a picture before popping the lid back on. Salads just don’t take that long to make — twenty minutes or less of chopping and mixing, and you’ve got a deliciously nutritious meal, for now or later. Here's the same salad, packed to go! You know what I thought of this. I loved it. 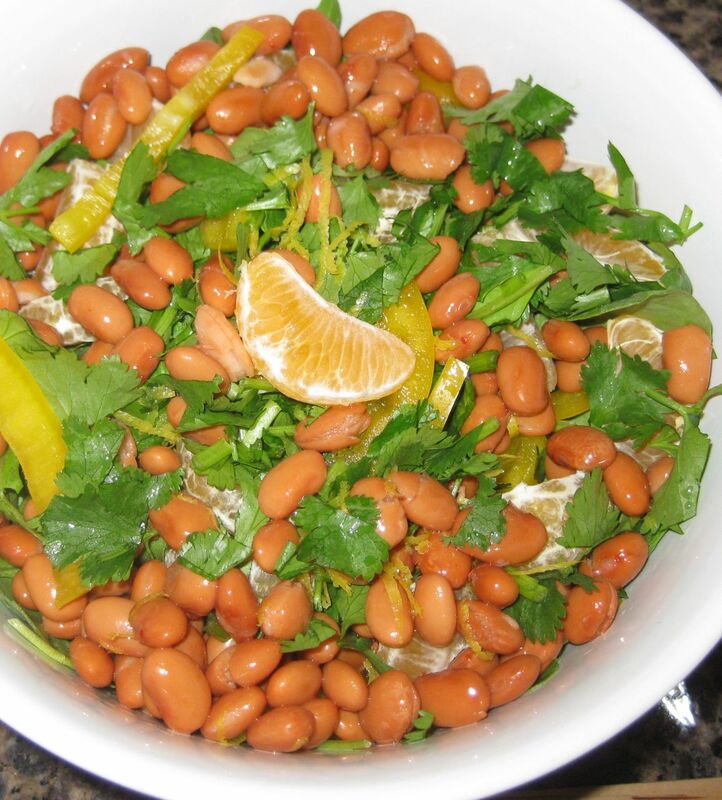 Juicy citrus, creamy beans, crunchy bell pepper, peppery arugula… This is a can’t fail recipe for me, and, once again, it succeeded.